Church Council had a vision retreat on March 10. We discussed on Five Areas of Vitality and at the end of the day, we came up with one SMART goal to achieve throughout this year. 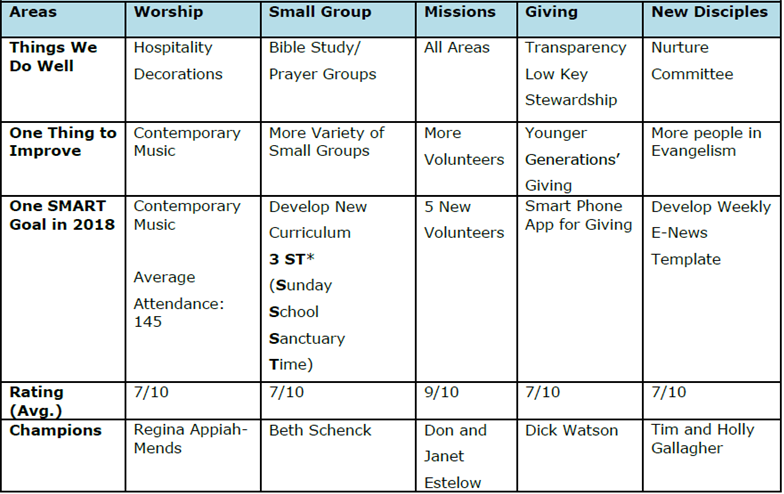 Below is the Summary Chart of Vision Retreat Reports. The Crossword is a publication of The Manahawkin United Methodist Church. In each edition you will find news from our committees, inspiring message from our Pastor and general information from The United Methodist Church.